»» Download Enigma Recovery for free! Enigma Recovery ::: a computer program that allows users to recover deleted data from devices with installed iOS operating system. Using Enigma Recovery can recover photos, music, videos, etc..
»» Download Fast Duplicate File Finder for free! Fast Duplicate File Finder ::: a computer program used to find duplicate files. Using Fast Duplicate File Finder can detect and remove all duplicate files from your computer. »» Download Easy Screen Capture and Annotation for free! Easy Screen Capture and Annotation ::: a computer program that allows users to take screenshots. »» Download Folder Size for free! Folder Size ::: a computer program that allows users to manage files. Using Folder Size can find out how much space is occupied of files and folders on the hard drive. 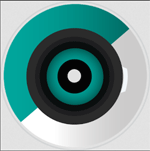 »» Download Acoustica Audio Converter for free! Acoustica Audio Converter ::: a computer program that allows users to convert audio files. 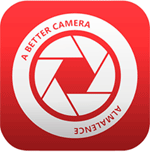 »» Download Visual Similarity Duplicate Image Finder for free! Visual Similarity Duplicate Image Finder ::: a computer program that allows users to detect duplicate photos. »» Download Mixcraft for free! Mixcraft ::: a computer program that allows users to mix music. »» Download Boss Key for free! Boss Key ::: a software that is used to hide the information on your computer screen when you do not want it to be seen by indiscreet eyes. »» Download Alternate Password DB for free! Alternate Password DB ::: a computer program that allows users to manage passwords. Using Alternate Password DB can create a protected database with all your passwords. »» Download Aiseesoft Android Data Recovery for free! Aiseesoft Android Data Recovery ::: a computer program that allows users to recover deleted data from devices that have installed the Android operating system. Using Aiseesoft Android Data Recovery you can recover deleted, deleted by mistake or lost files.